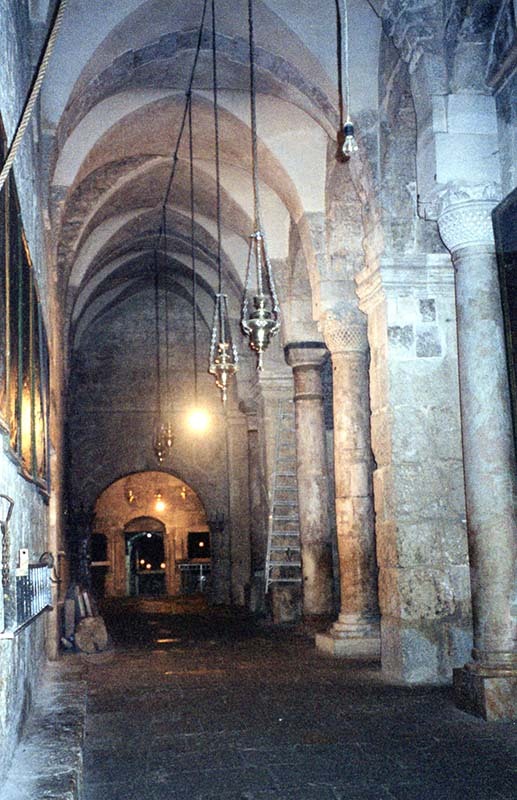 At the time that the Church of the Holy Sepulchre was built, in the 4th Century when Emperor Constantine legalized Christianity, a pagan temple to the goddess Venus existed on this spot. The Church replaced it, and ever since then, it has been a place of much worship of our Lord Jesus and great thankfulness for His tremendous sacrifice. Walking through this church, it’s easy to feel the centuries of awe and worship. Notice the pillars. They all look different because they were built at different times, as the church needed repairs down through the centuries.